JOHANNESBURG, South Africa,24 August 2018-/African Media Agency (AMA) /-As the date for ASLM2018, the fourth biennial conference of the African Society for Laboratory Medicine conference (ASLM) draws near, the organization has released the list of confirmed speakers who will come to Abuja to share leading opinions, experiences and insight into preventing and controlling the next pandemic with the role of laboratory. The list includes: Dr. Trevor Peter, Senior Director of the Diagnostic Services at the Clinton Health Access Initiative; Dr. John Nkengasong, Director of Africa Centres for Disease Control and Prevention; Prof. Waafa El Sadr, Founder and Director of the International Center for AIDS Care and Treatment Programs (ICAP) and Prof. Wendy Stevens, Professor and Head, University of the Witwatersrand and the National Health Laboratory Services of South Africa. Other speakers who will be facilitating on-going dialogues at ASLM2018 and driving labroatory medicine in Africa include: Prof. Alimuddin Zumla, Dr. Caroline Jehu-Appiah, Dr. Rebecca Martin, Dr. Amadou Sall, Dr. Chewe Luo and Prof. Oyewale Tomori. Also included in the speaker line-up are Dr. Jay Varma, Dr. Philip Onyebujoh, Dr. Merawi Aragaw, Dr. Chikwe Ihekweazu, Dr. Abdourahmane Sow, Dr. Djoudalbaye Benjamin and Prof. Iruka Okeke. The conference co-chairs are Prof. Alash'le Abimiku and Prof. Souleymane Mboup. 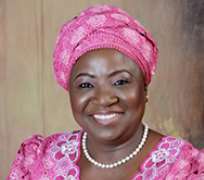 Prof. Abimiku is co-founder and the Executive Director of the International Research Centre of Excellence at the Institute of Human Virology Nigeria. Prof. Souleymane Mboup is the Director of Institut de Recherche en Santé, de Surveillance Epidémiologique et de Formations in Senegal. Prof. Abimiku is also a Professor at the Institute of Human Virology at the University of Maryland School of Medicine, Baltimore and Chair of the ASLM Board of Directors. 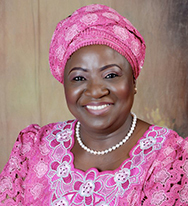 As a trained Medical Microbiologist with specialization in Retrovirology, Prof. Abimiku first demonstrated the unique nature of the HIV strain prevalent in Nigeria in 1993 as subtype G during her postdoctoral training at NIH, and provided the first reliable HIV research laboratory in central Nigeria. She is the Principal Investigator of the IHVN H3Africa Biorepository (I-HAB). Prof. Mboup is an internationally renowned scientist who co-discovered the HIV-2 virus. He has also made contributions in malaria and tuberculosis. His molecular studies of genetics and transcriptomics of the malaria parasite contributed to the choice of drugs for control of malaria. He also performed state of the art immuno-monitoring of the prevalence and incidence of tuberculosis infection and disease using ELISPOT-based assays for the diagnosis of tuberculosis infection and also provided baseline data for the assessment of new TB vaccines. In addition to their successes to advance the field of science, both have trained a cadre of pre and post-doctoral students who are now engaged in advanced laboratory science and research. This year's conference will be held at the Transcorp Hilton Hotel, Abuja, Nigeria, from December 10 to 13, 2018. Pre-conference seminars and workshops will take place starting December 8, 2018. This marks the first time the conference will be held outside of Cape Town, South Africa, where the previous three editions were staged. ASLM2018 will feature plenary sessions addressing pandemic threats, describing the laboratory response to these threat and the partnership synergy necessary to implement the reponse. The event will also feature oral and poster sessions and symposia. Roundtable discussions will focus on topics such as leveraging and sustaining networks for disease response in Africa; data intelligence, biological specimen repository for outbreak response, role of National Public Health Institutes in pandemic responses, and Africa regional laboratory networks. Commenting on the speaker line-up, Prof. Abimiku said: "This year's set of speakers were specially chosen because of their passion to change the narrative around laboratory systems. They are experts and professionals who have left indelible footprints in their various health fields. Participants who attend the event will be exposed to modern collaborative techniques in the field of laboratory science." ASLM is an independent, pan-African professional body that coordinates, galvanises and mobilises relevant stakeholders towards improving access to world-class laboratory services. ASLM is headquartered in Addis Ababa, Ethiopia, and endorsed by the African Union. All the details about the conference can be found on the conference website: www.aslm2018.org.